Booking a ticket at FareHawker is very simple, so you have more time for the important things in life. 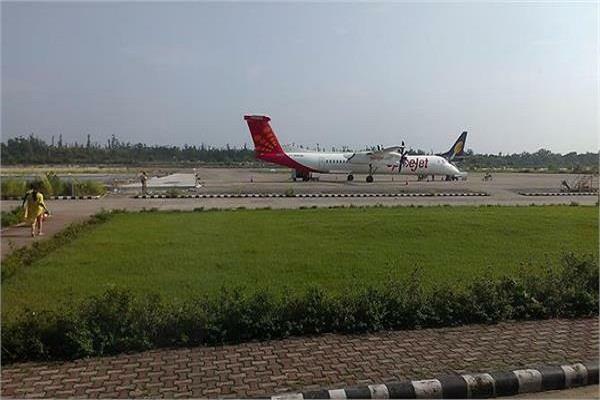 All you have to do when looking for a flight is select route for Kolkata to Dimapur and on which travel dates. FareHawker does the rest by sorting through the available flights and cheapest fares for those dates. Our results page will then display the available flights, cheapest prices, times and flight duration for your search. At that point, you just have to decide which of those tickets you wish to book, then enter the passenger and payment details, confirm, and pay for your tickets. It's that simple! All the tools and resources you need to make the most of your online booking and planning we guarantee the best pick. From the lowest fare to charter flight or even group booking we have it all round the year, book your next flight for best airfare. Dimapur is the largest city in Nagaland, India. Contrary to popular belief, the city's formation in Nagaland is separate from that of Assam. Dimapur in Naga means the ‘the city near a great river.’ With Dhansiri River on one side, and wooden meadows flanking the other, Dimapur was the former capital of the Kachari tribe, traces of which can be seen even today. The boundary of the eastern part is covered by Dhansiri River, while the western part of the district consists mostly of forests and hills. One day is sufficient to explore this place, and fly away to the next lap of your tip. Apart from archeologist tracing its intriguing past, the place remains thronged with business travelers due to its commercial centers. Nice to know Nagaland is the only place in world where the Baptist Christians’ proportion is highest. October to June are the best months to visit Dimapur. Being a hilly place, the weather of Dimapur remains moderate throughout the year. However, the most suitable time to visit Dimapur is October to March which does not receive heavy rainfalls.